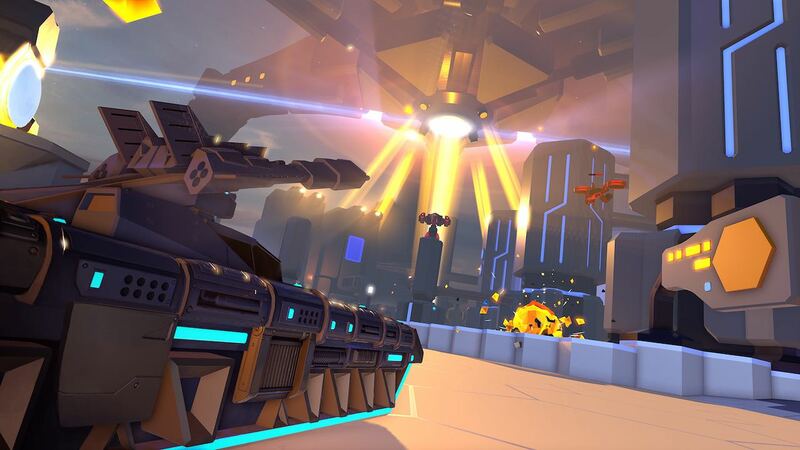 Rebellion and TickTock Games have announced that Battlezone Gold Edition will release on Nintendo Switch next month, the reboot of the iconic 1980 arcade game. Transported into the cockpit of the most advanced weapon ever built – the Cobra tank – you will experience first-person combat in neon-lit sci-fi landscapes. With the totalitarian Corporation’s legions of mechanised bots attacking you from every angle, you must use the destructive weapons and special equipment at your disposal to defeat them all – whether that be laser-guided missiles, mortar cannons, powerful shield boosts or devastating EMP blasts. On Nintendo Switch, you can expect cockpit motion controls, support for both online and wireless local co-op play, and all content that has been released such as bobbleheads, tank skins and the retro-infused Classic Mode. Battlezone Gold Edition will release on the Nintendo eShop for Nintendo Switch worldwide on November 8th, and is now available to pre-order with a 15 percent discount.